I think it took me longer to read Sherlock Holmes than it did to read War & Peace. Reading a large book like this on your Kindle has the advantage of not weighing you down on your daily commute. It has the disadvantage of not letting you know how many pages are actually in the book until you decide one day, to Google it. Damn that was a long read. I won't bother with a synopsis because let's face it, if you don't know who Sherlock Holmes is, I can't help you. Sherlock Holmes is the most portrayed fictional character in history. Sir Ian McKellan will soon be joining this list. 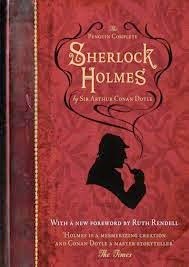 From Good Reads: This single volume contains all 4 novels & 56 short stories about Baker Street's most famous resident. My Thoughts: It's hard not to like Sherlock Holmes. 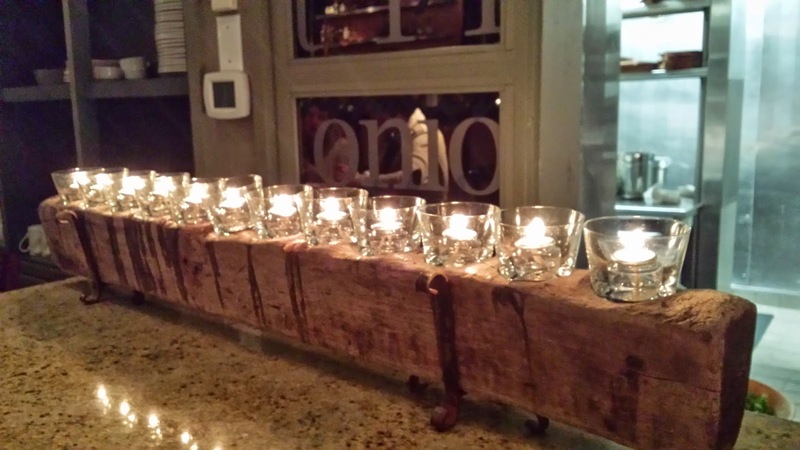 There is something about these stories that have captivated audiences for over 100 years. I loved reading the short stories. They were intriguing and had all of the wit and fascination that I expected from them. The novels on the other hand, I didn't enjoy, with the exception of The Hound of the Baskervilles (which I'm actually watching on Sherlock right now). The novels are interesting at first, but then they dive into long histories of the crime that go back as far as 20 years in some instance and, while they provide context to the crime, don't really help further the story in any capacity. I've always loved Sherlock Holmes (I even dressed as him for Halloween one year!) but one thing I didn't love about these stories is that it is completely impossible to try and guess the outcome of the crime. While Holmes practices the 'science of deduction', he solves his crimes by paying attention to details...details which the reader isn't exposed to. It's impressive nonetheless, but there is no mystery to be solved for the reader. While I would recommend Sherlock Holmes to everyone, I wouldn't recommend The Complete Sherlock Holmes. It took me almost two months to read! I'll share some of my favorite short stories so that if you ever have an itch to dive into the tales of the famous detectives, you can do so with these. Have you read Sherlock Holmes? 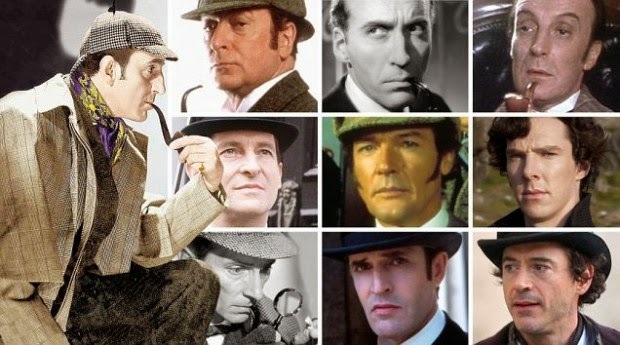 What or who is your favorite portrayal of Sherlock Holmes? Hands down, mine is Robert Downey Jr. 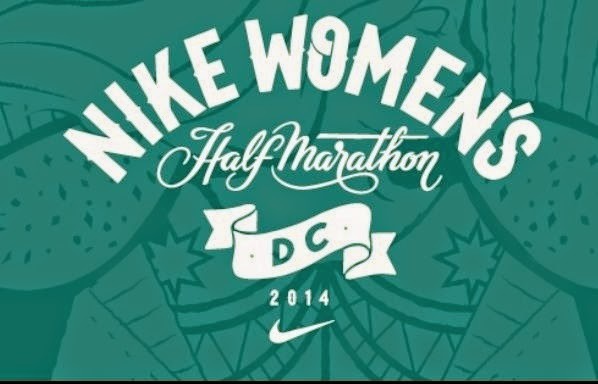 I want to thank everyone for all of the sweet words and support on yesterday's race recap of the Nike Women's Half. I can't even say it was a tough race because it wasn't. The Madrid Marathon is still the toughest race I've ever run but this race tore at my emotions in a way that is going to take some time to bounce back from. As I said yesterday, I don't know what this means. I emailed my PT yesterday and am waiting to hear back from her. I found a new doctor to see and, while I can't get in to see him until next Friday, I'm optimistic that he'll get me back on my feet soon. I really didn't think the race would go this way. I mean, my training runs were all fine. It isn't that big of a jump from 11 to 13 miles. The only explanation that I can give is that I went out too fast. My knee was in rough, rough shape yesterday. Today, it feels fine and the only lingering effect from the race is the tightness in my right hamstring. In the four years I've been running, I've always followed Hal Higdon's Zero Week plan for the week after the race (despite never actually following a Hal Higdon training plan). This plan has me off until Thursday and then running an easy 2 miles. I'm obviously not going to run if I'm still having pain, but if I'm pain free, I'm going to go out and try to run those 2 easy miles to see how I'm feeling. Obviously if I feel the slightest twinge, I'm going to stop. I mentioned yesterday that I just signed up for another race. For years, I've been trying to get The Pilot to run a Half with me. For years, he's said no. Well, shortly after we got engaged, he finally caved and said he would run a Half with me before the wedding. 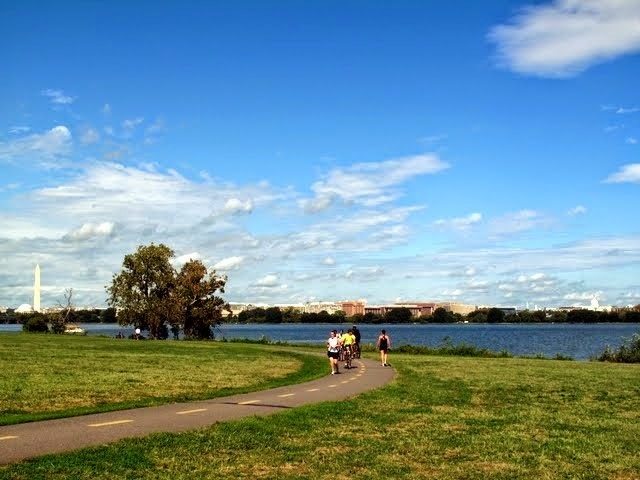 So, last week, we signed up for the Alexandria Running Festival, a 13.1 mile race right here in the DC Metro area. The Pilot has always run a few miles here and there. Yesterday, I told him to go out and do 6. He did 7. He's actually enjoying training and feeling good about it. He was coming with me on the first half of all of my long runs and it's fun running together. I so badly want to run this Half together and right now, I don't know if that's going to happen. Let's not even talk about the fact that I thought I would feel so good post-race that I would sign up for a Fall Marathon. I have a 4-miler planned for the end of June that I was hoping to train for to start getting some speed in, but for now, everything is on hiatus. I have 27 days until Alexandria and I'm going to take them step by step, day by day (oh hey 90s TV show reference!). Emotionally, I'm not as much of a mess I was yesterday or the day before, but we'll see how things go. As always, I'll keep you all updated. Thanks again for all of the well wishes. It's times like these that make me realize just how much I love blogging and this entire community of runners and bloggers. Going into this race, I was a huge ball of nerves. All I wanted out of this race was to run...start to finish...with no knee pain. I didn't care if it took me 3 hours. I just wanted to have a good race. I knew it wasn't going to be my fastest time, or even close to it. I just wanted to feel good and finish strong. The race started at 7am. I got there around 6:25 and walked around for a little while. They had tents of Nuun and I grabbed some before making my way over to the corrals. I had an 8:00-8:59 pace bracelet. I knew I wouldn't running that so I lined up a little bit further back, I think somewhere with the 9:00-10:30 group. The corrals were chaos but once the race got underway, it thinned out and stayed pretty thin through the Finish. This was my 11th half marathon and in every one of them, I've had with me my Garmin, my headphones and a handheld water bottle. Going into this race, I didn't bring any of those things. I just wanted to take my time, stop at the aid stations, focus, and pay attention to anything my body was trying to tell me. The first mile came up quickly. It was great. It was an absolutely gorgeous DC morning and I loved running alongside the Capitol. My knee was a little bit twingy in the first couple of miles, but for the most part I felt ok. I had a horrible stomach cramp that lingered through almost the whole race. I made a quick pit stop at Mile 4 and then moved on. 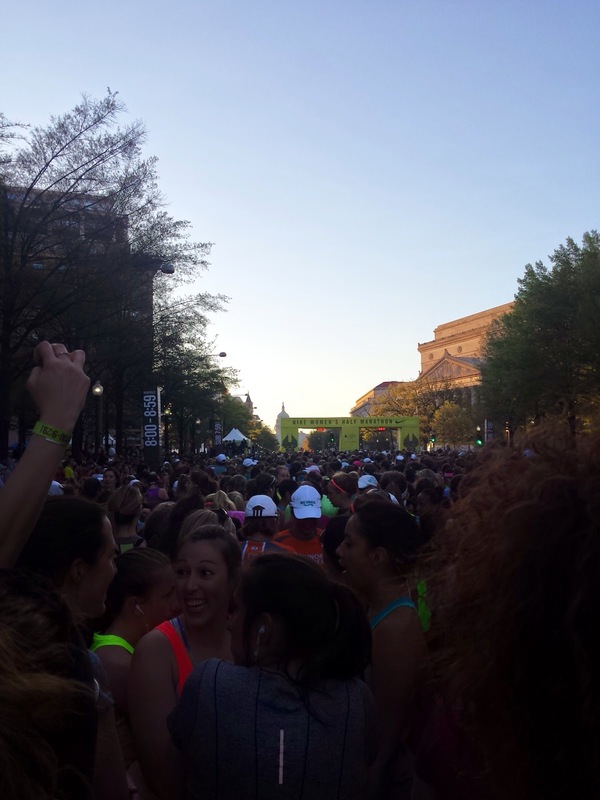 I felt like the race was going really quickly as we made our way up and on to the Memorial Bridge. 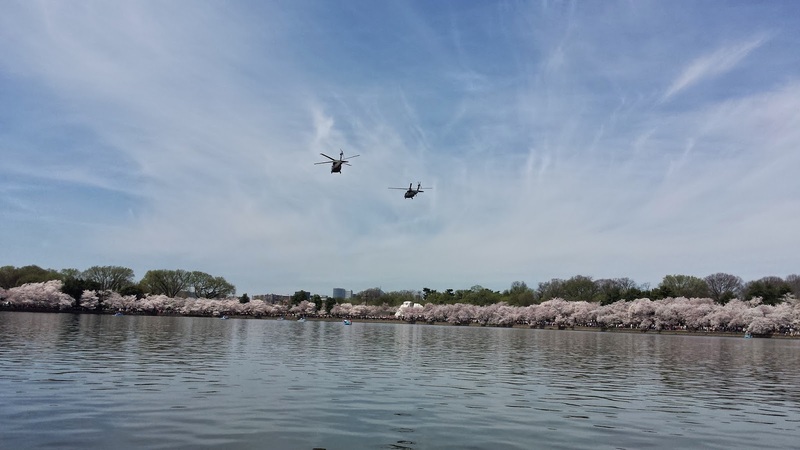 We came off the Bridge and went down the Rock Creek Parkway for a quick turn around. We hit the 10k and I realized that I was feeling good...really good. I knew that this would be a long stretch to the tip of Hain's Point and this was the part of the race I was most worried about but I was feeling great. I had a smile on my face as we came across the steps behind the Lincoln Memorial and I was really excited about how I was feeling. No knee pain, my stomach cramp had dulled and we were coming up on Hain's Point, which is where I first hurt my knee last Fall. I was ready for my Hain's Point redemption and this was about to be it. I knew The Pilot would be at Mile 8 and I was so excited to see him and tell him how great I was feeling. Somehow, we missed each other and I made my way forward. Then somewhere between Mile 8 and the 15k mark, my knee gave. It was the exact same pain I had 6 months ago. I pulled over and stretched out for a bit, massaged my knee, tried to get it moving again and started running again. I felt ok, but every couple of steps, the pain would come shooting back. By Mile 10, I had to start walking. It hurt too much to run. I tried run/walking frIom 10-11 but it was hurting more and more to run and by the time I got to 12, it hurt even to walk. I wasn't about to quit at this point in the race but I was devastated. As we came under the bridge at L'Enfant Plaza, I started crying. I was so upset that this was happening. I didn't care that I was walking, I didn't care about my time or that I was moving slow, but it devastated me that this was happening. Shortly passed Mile 12, my knee buckled. I almost fell over. I just kind of stopped in the middle of the road not knowing what to do. I tried to keep moving and two girls came over to me, told me I was going to be fine, that I could do it. One of them was having really bad foot pain. We chatted for a little bit and then, we could literally see light at the end of the tunnel with a wall of screaming spectators and a giant TV screen showing the race. One of the girls said, "There it is, that's the finish! Keep going!" So, I started to run. It hurt. Horribly. Every step I took was sending shooting pains through my knee. I wanted to stop, but I couldn't, I was so close. I saw my friends just before the turn off to the Finish and I pushed on. At this point, I was biting my lip because it hurt so bad. I saw the Finish and while, sprinting wasn't an option, I just pushed as hard as I could until I crossed. I have to say, the Finish Line was spectacular. 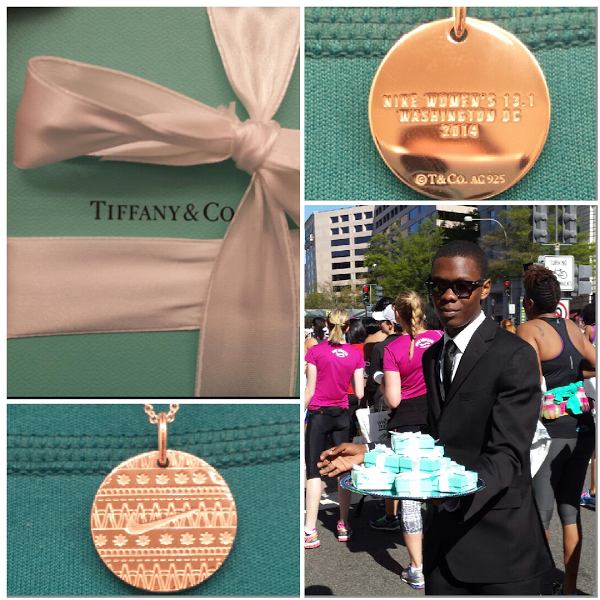 Aside from the men in suits with tray's of Tiffany's necklaces (the biggest draw of the race), they had a Refresher station complete with yoga mats, foam rollers, trainers to help you stretch, a phone charging station, mirrors, dry shampoo, lip gloss and face wipes. Yes, this race was expensive, but the amount of detail that went into this race was unparalleled and went above and beyond. I was definitely impressed and would definitely run this race again...if for no other reason than redemption. I finished in 2:25:55. It was under the 2:30 that I thought I was generously hoping for. According to my splits, I was running a 10:14 pace to the 5k and a 10:07 to the 10k. Maybe I should have worn my Garmin because in all of my training runs, I've been averaging about a 10:30 and I wonder if I just went out too fast. I'm crushed. This race went exactly the way I feared it would. I don't care about my time or pace. I'm happy that I finished but I wanted this to be my comeback race. I wanted to cross that Finish Line with a smile on my face and finally feel like I'm back. I just signed up for another half in 4 weeks. Now, I feel like I'm back where I started. Am I going to be out for another 6 months now? I haven't had knee pain like this in 7 months. I took 5 months completely off, spent 3 1/2 months in PT, and did everything I could to come back the smart way. 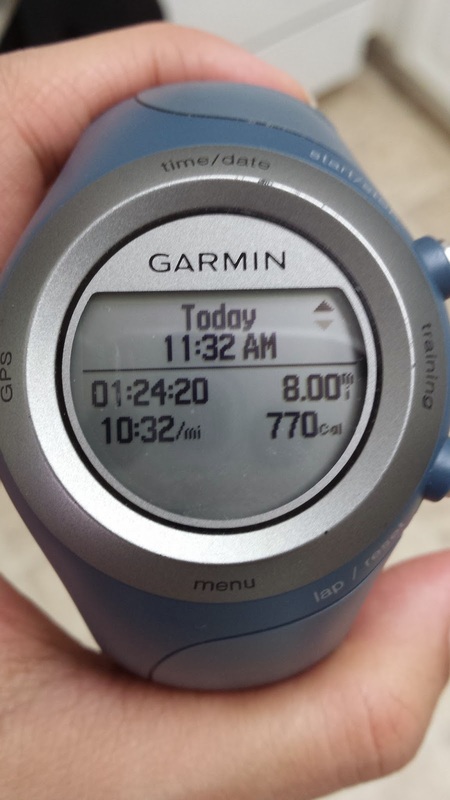 I ran my long runs of 6, 8 and 11 miles and felt good or great through all of them. So what the hell happened? I have no idea what's next after this. Obviously a lot of rest/icing/anti-inflammatories this week. Probably a trip to the PT, possibly a trip to the doctor. So there it is. That's how the race went. I've said before not to call it a come back. I guess I was being smart. This weekend I realized that Easter might very well be my favorite holiday. I had a long, but great weekend. Friday, we got out of work a little bit early for the weekend and I headed to Reagan to catch a flight home to New Jersey. Everything was on time and I landed just after 7, headed to catch the train, which I missed because NJ Transit decided to park the train at the station without opening the doors. Luckily, my cousin Jen was on that train and decided to get off and wait around with me before taking me to my mom's house for Good Friday fish dinner. After an amazing feast of fish and a lot of desserts, I headed to bed. It amazes me, no matter how comfortable my bed in DC might be, I always sleep like a log when I go home. Saturday, I woke up and my mom made a fantastic breakfast for me, her and my grandma. Then, it was time to get to work! We headed into her sewing room and I got to see how my wedding dress is coming along!!! It was the first time trying it on that it actually started to look like what my dress will look like...even though it's only one piece right now. After my fitting, it was time to pack up and head back to the airport after a super short trip home. I think I was home for a grand total of 15 hours. While I was at the airport, Ally texted me to let me know that she had decided to ditch London for the weekend to see her honey. Knowing that you can't get barbeque in London (never mind good barbeque), I took Ally and her Italian sweetie to Hill Country BBQ for a feast. Sunday, The Pilot and I got up and headed to church. We went to a Mass said by the priest who will be marrying us and it was awesome...definitely one of the best Easter Sunday services I've ever been to. After church, we headed into DC for brunch at the place where we're having our wedding reception. I had heard great things about their brunch but hadn't been yet. It was exceptional. On top of that, when our waitress came over, she said, "First of all, let me congratulate you. Take these mimosas compliments of myself. So, the big day is in September, right?" Umm what?! We had no idea how she knew! It was awesome and the food was just exceptional. When we got back home, it was time to lace up our shoes and head out for a run. I had 10 miles on deck and The Pilot agreed to join me for the first 5. I didn't feel great...my knee was twingy the entire run, but somehow I still managed to push for an extra mile and go for 11. I felt like I would feel better going into this weekend's Half with 11 under my belt, rather than just 10, even if they didn't feel great. Post-run, we vegged out, made dinner and watched a movie. It was a long weekend and work was super busy today, but it was a good weekend and I'm glad to have gotten home for a little bit of it! This week, I'll be taking it easy until Sunday when I toe the line for my first half marathon in almost a year! I'm nervous, but excited and I feel good about yesterday's 11 miles pushing me through the finish! Any tips for a one week taper? When I first started this blog, one of the things on my 25 before 25 list was to read all of the books on the Newsweek's Top 100 List. I later changed that to half realizing that the task was tremendously ambitious when books like Middlemarch, War and Peace, and Anna Karenina were on there. I read 49 of them and gave up. I hated most of the books I read. I abandoned the list in an effort to read books I actually wanted to read. Recently, my friend Carolann sent me a new list - Amazon's Top 100 list. Thinking this might be more of an accurate reflection on what the world is reading since the list is based on readers' picks, rather than book sales, I decided to check it out to see how many I've read. Love in the Time of Cholera by Gabriel Garcia Marquez (I loved this book and was sad to hear of Marquez's passing yesterday at the age of 87). So 39 out of 100. I won't say I plan to read all of them. Some, I just have no interest (Diary of a Wimpy Kid, The Fault in Our Stars)...but I definitely plan to read some of them and I'm glad I have a new book list to choose from. I've just about finished all of the books I bought at last year's library sale so I think a trip to the library is in order...that is, until I make it to another library book sale! Updated on 4/27/15: 6 books read since original post. 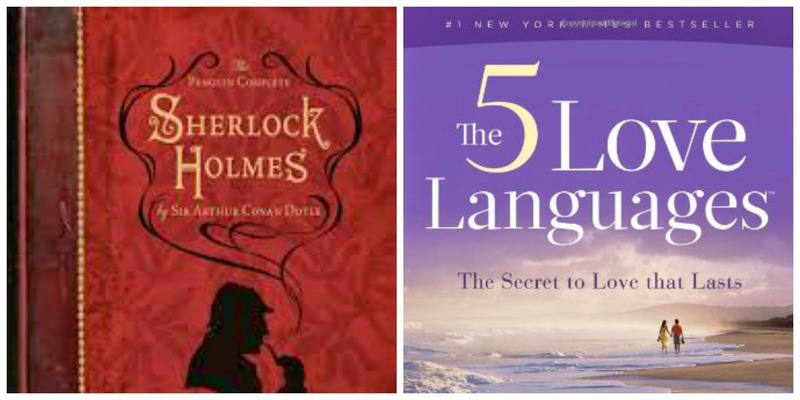 Reading... still working my way through Sherlock Holmes and The Five Love Languages. My friend Carolann just sent me I am Malala so that's up next. Drinking... water...and way too much of it. Note, drinking through a straw will cause you to drink absurd amounts of water. Listening to... The Norah Jones station on Pandora. It's my favorite. Now playing, Of Monsters & Men. Watching... I've been catching up on my DVR this week. Lots of Parenthood, Growing Up Fisher, Parks and Rec and Big Bang Theory. Anticipating... a trip home and my next dress fitting with Mom! Wishing for... a solid 10-miler this weekend that will give me a good feeling going into Nike next week. Seeing in DC... The Cherry Blossoms are gone and winter has seemingly returned, but my goodness they were unbelievable. Loving... that wedding planning has come to a stand still for the time being. Our wedding is in five months! One of my favorite bloggers, Jenn, got married this weekend and it wasn't until she wrote this post on all of the things about her wedding that she's looking forward to, that our own wedding finally started to feel real. In the last month, we've just about finalized all of the details. We worked out all of the details with our florist, hired transportation and reviewed the first mock up of our wedding invitations. My sisters (and college bff) ordered their bridesmaid dresses and aside from some final paperwork, we finished Pre-Cana. I had my hair and makeup trial and my dress is coming along (slowly, but surely). Everything left is little details. Designing our programs, making our play and do-not-play lists, finalizing and sending out invitations, getting our marriage license...little details. It still doesn't quite feel real, and it feels soooo far off. Everyone has told us that our engagement would fly by and it really hasn't, at all. I guess that's a good thing, but I'm just really excited to be married and to celebrate being married with all of our friends and family members. Wedding planning has been great. It's been so much fun and so easy and I'm so excited to see how everything comes together. I probably won't write another wedding post for awhile since just about everything worth writing about is done! According to my checklist, we're way ahead of schedule. I'd like to keep it that way, so I'll definitely be checking off some more things in the next month or so, but I'm really feeling like everything is taken care of. The things I will be working on in the next few months? Some DIY work for our centerpieces, finalizing our invitations, and designing our programs. Oh, and booking our honeymoon of course! There isn't really much else that can be done until around July when we hit the two month mark, and that's great! This is exactly how I wanted wedding planning to go. Smooth. Easy. Our conversations have shifted from wedding planning back to normal life and that's perfect. I find myself only thinking about the wedding a handful of times a week, rather than on a daily basis and that's awesome. 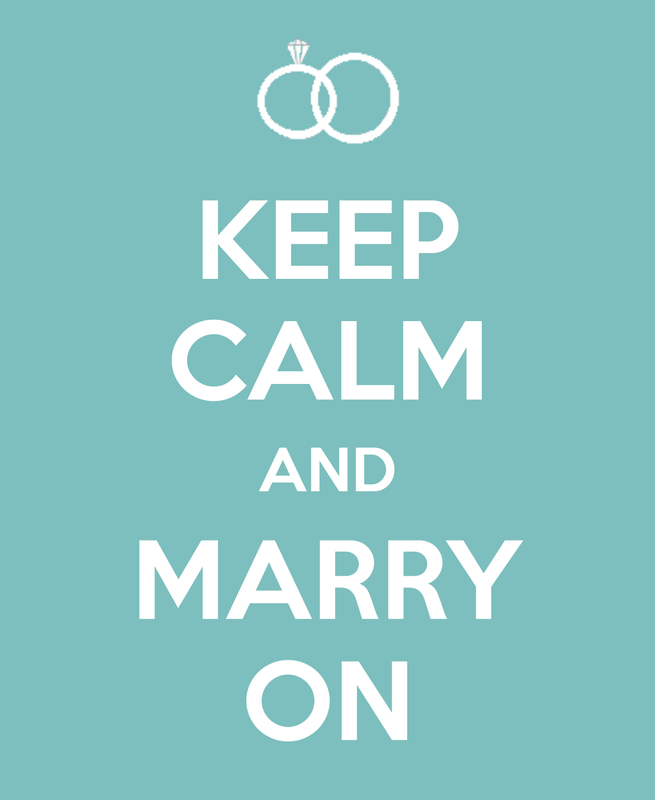 I'm so excited for the spring and summer months and for the moment when our wedding finally doesn't seem so far away! Feeling... not too shabby. I slept like a baby on Tuesday night and slept ok yesterday.This sleep thing has majorly thrown off my schedule and I'm having a really hard time waking up at my normal time, but I'm hoping it gets back to normal soon. Also feeling...tremendously annoyed that everyone thinks I'm not sleeping because I'm stressed about the wedding...which I'm not. At all. Reading... same as last week. The Complete Sherlock Holmes (which I just found out is 944 pages...I'm reading it on my Kindle so I had no idea) and The Five Love Languages. Watching... 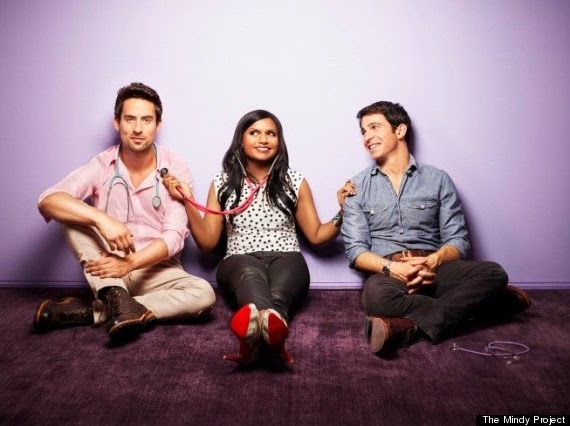 I'm so glad The Mindy Project is back on TV. I seriously love that show. That scene in the airplane last week? Hilarious. Mindy Kaling is amazing. Anticipating... a very DC weekend with the Cherry Blossoms in peak bloom. Wishing for... my knee to stop being so bum and just cooperate already. I'm doing everything I can to stay smart about this injury. 4 1/2 months off plus PT and a slow return to running should mean that I'm fine. 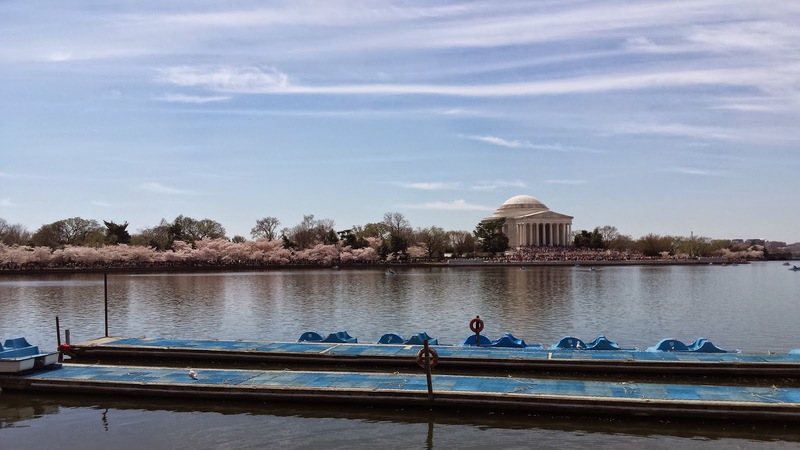 Seeing in DC... Cherry Blossoms! Flowers! Spring! Farmers Markets! Loving... warm-don't need a jacket anymore weather and the fact that pool season no longer seems so far away! What a weekend! This weekend was jam packed and super busy but so much fun! Friday after work, I met up with my friend Katie for drinks in Chinatown. We decided to split a bottle of wine because it had been a crazy week for both of us. After drinks, we headed over to Poste to share some food and and down a few beers before calling it a night. Saturday I was up bright and early to meet Abby for coffee before DC Fit. 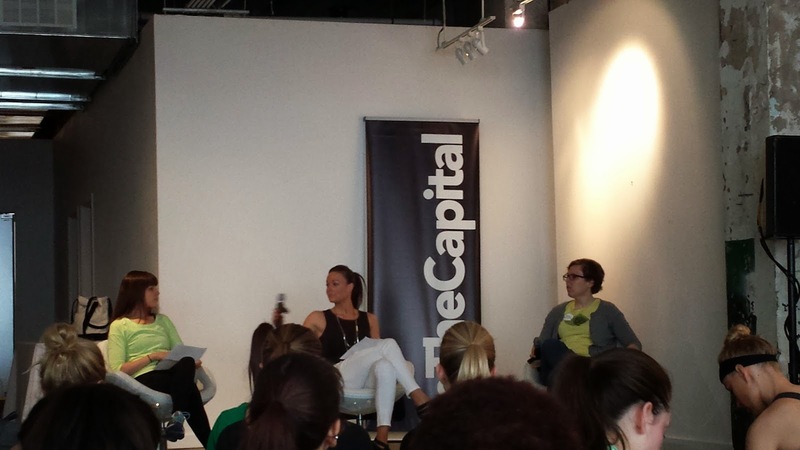 We started the morning off with a barre class and then were off to a nutrition panel featuring Allison. I sampled some of the snacks from Sweetgreen, Sweat Leaf and Jrink before Abby and I tried to take a yoga class but left after they ran out of mats. I headed home to meet The Pilot where we planted ourselves on the floor of Barnes & Noble to go through the travel section to start planning our honeymoon! 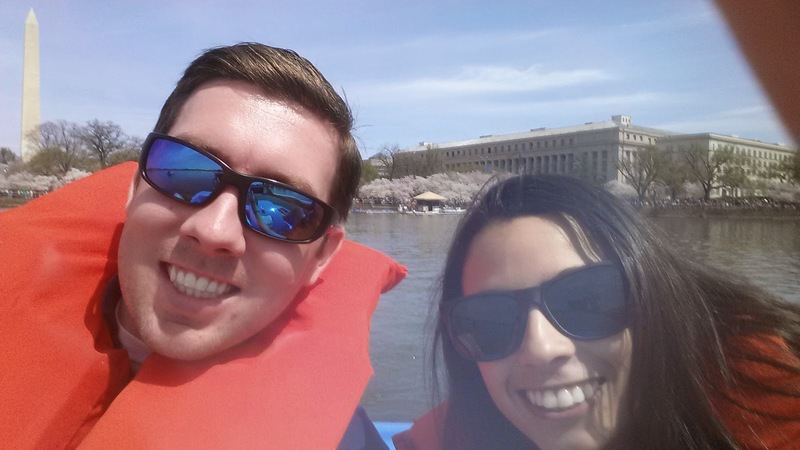 Then it was off to the airport to pick up Holly who was in town for Cherry Blossom! Holly's awesome friend Steph was in town and we had such a great weekend! We started the night by having dinner at Vapiano. I met up with some other friends there and stayed for a good bit after Holly and Steph left catching up with them. Sunday morning I was up bright and early to go spectate Cherry Blossom. It was kind of a bummer watching a race that I should have been running but I know that dropping out was the smart thing to do. Post-race, we went to brunch at Matchbox before heading home to freshen up for the Nationals game. 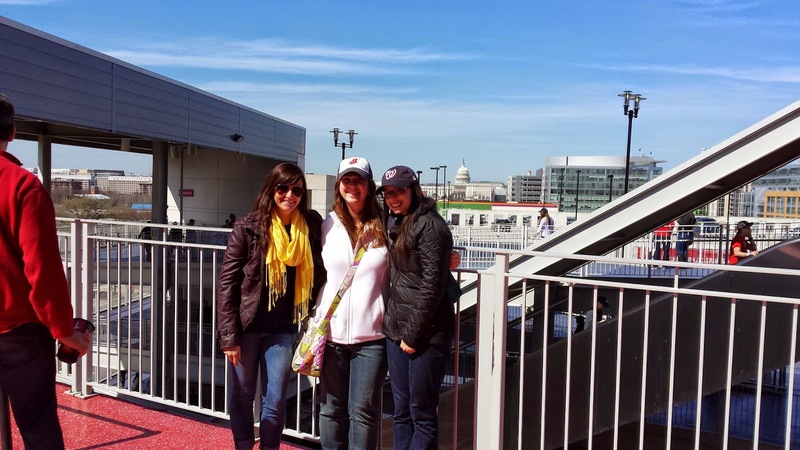 I finally got excited about baseball season when I walked into Nats park on Sunday afternoon. Even though I hate the Nationals. Even though the Mets are going to be terrible this season. Even though it wasn't my team, it was baseball. And it was glorious. 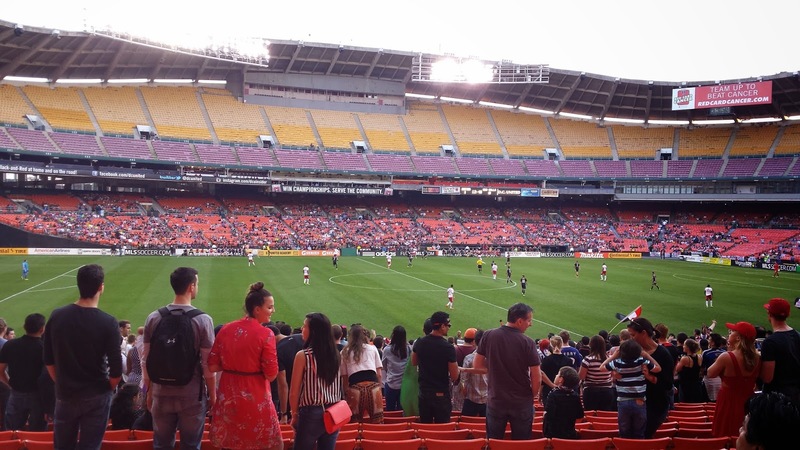 We spent the afternoon at the game and then headed to Georgetown to grab cupcakes at Baked & Wired and then wander around for a bit before calling it an early night. 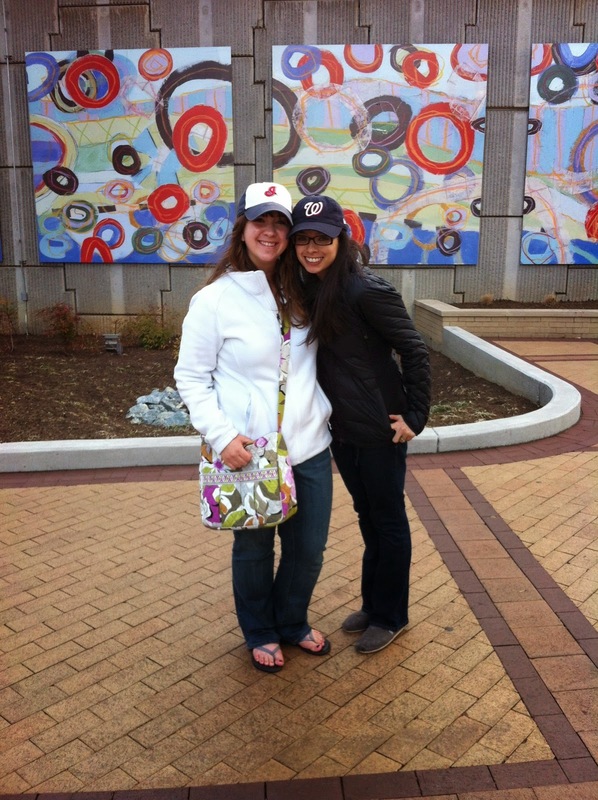 It was awesome having Holly in town! We had so much fun with her friend Steph and The Pilot and are already planning another girls' race weekend...hopefully one I'll be able to run in! Despite walking over 22,000 steps yesterday, I still managed to get in a 2.5 mile run when I got home. It was very twingy and didn't feel great but I'm hoping I can resume my training this week with the aid of some tape and PT. We'll see. 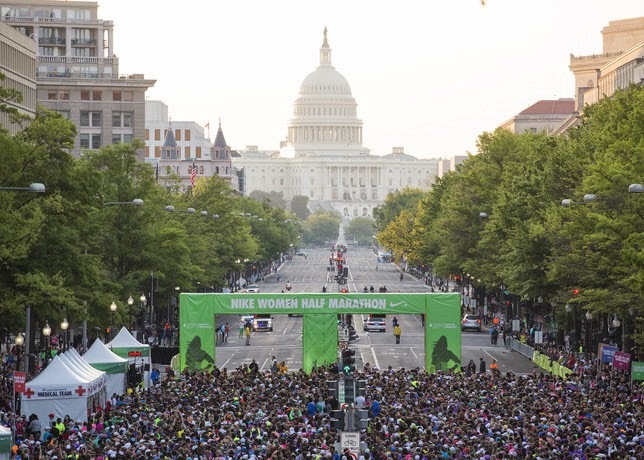 T-3 weeks to the Nike Women's Half. It's a cold, rainy day in DC today. Hope it's sunny wherever you are! Feeling... ok. I started taking a non-habit forming sleep aid this week. So far, it has worked twice. I slept well last night but couldn't wake up until 8am so I'm a little out of it. Reading... Sherlock Holmes still. I decided not to just abandon it after reading the four novels and have kept on with the short stories, which I'm really enjoying! I also started reading The Five Love Languages at the recommendation of a lot of friends. Watching... 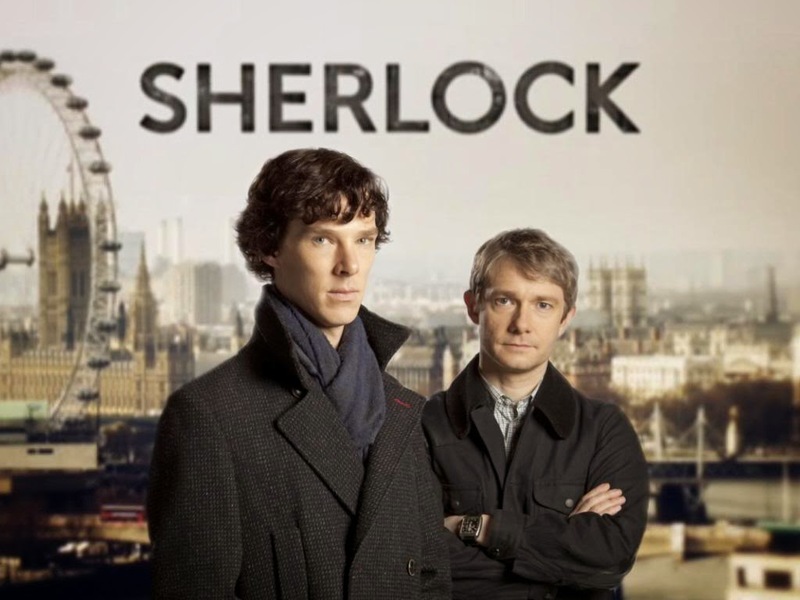 I started watching Sherlock which I'm on the fence about. I don't know that I love Benedict Cumberbatch as Sherlock Holmes but I'm going to give it a few more episodes before I decide. Also, How I Met Your Mother. I hated the finale. Hated it. Not just because they killed the mother. HIMYM was a sitcom. It's supposed to be funny. Having the gang break up 20 years down the road, while realistic, isn't comedy. Ugh. I'm still angry about it. Anticipating... a BUSY weekend! Tomorrow, I'm going to DC Fit with Allison and Abby. Then, Holly comes to town and we're grabbing dinner! Sunday morning is Cherry Blossom! While I'm not running, I'm hoping to be out cheering and jumping in with friends. 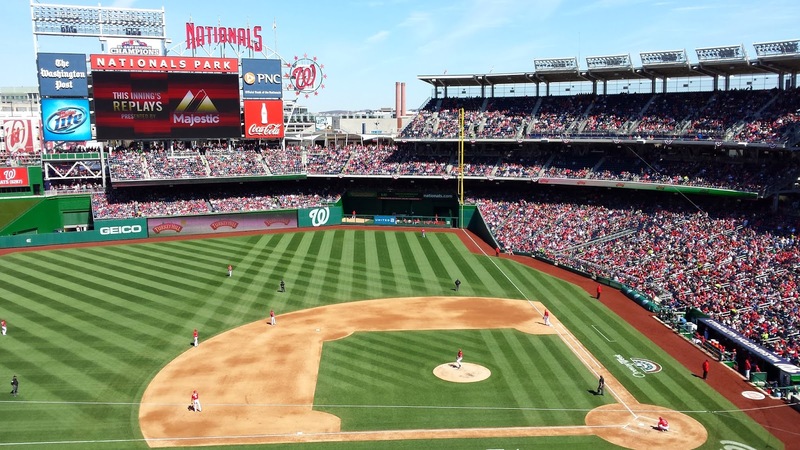 Post-race, Holly and I are heading to the Nationals game...first baseball game of the season! 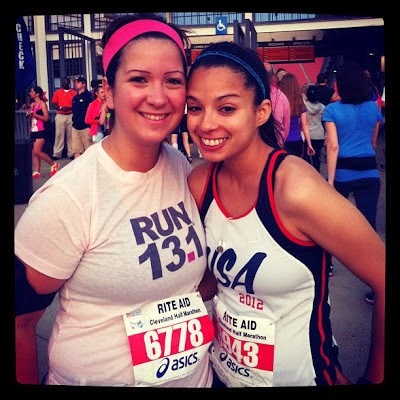 Me and Holly at the 2013 Cleveland Half! Wishing for... my sleep schedule to return to normal. I've slept two full nights out of the last nine. This needs to stop. Seeing in DC... DC Fit is at the Longview Gallery. I've never been there, does that count? Loving... that it's Friday <3.